I really like it when a series just completely goes above and beyond my expectations. Maybe I’m just being easily impressed, but I’m really liking where Fate/kaleid has been going lately. This episode, the climatic confrontation with Shadow Saber comes to its boiling point. Just when it seemed like Rin and Luvia have things under control, Saber busts out her ultimate move: the Noble Phantasm. By doing so, she kind of obliterates the bridge and the two girls and creates a Niagara Falls out of nowhere. Things start to become hopeless as Miyu and Illya are literally powerless to do anything to Saber except to run away. However as they say, pressure is required to create a diamond (well, it’s a true fact more than a saying, I guess) and adversity brings out Illya’s true powers. Something within almost quite literally is unlocked and the true potential of the Class Cards is unleashed. 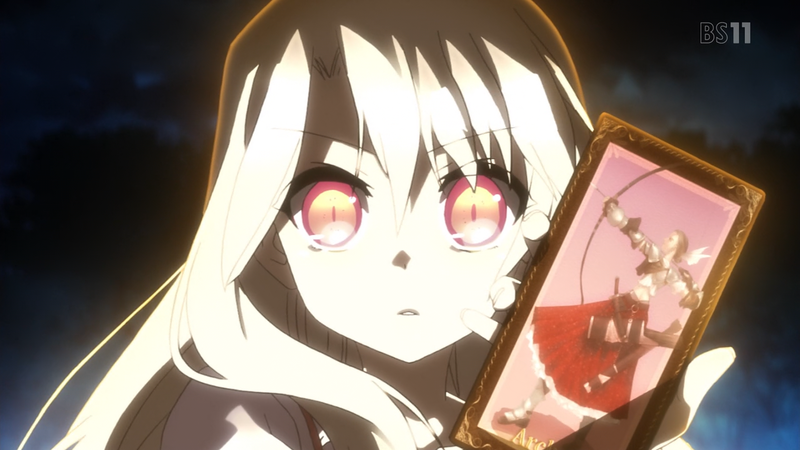 Illya is able to tap into the card of the Archer, allowing her to transform into a mahou shoujo version of the legendary hero. It’s pretty freaking sweet and just multiplied this serie’s awesomeness level. What follows is a fight scene so incredibly flashy that I had to watch it twice (and I may go and watch it again). I’m honestly not one to harp on about action sequences, but this one is particularly exciting. Everything from the buildup to Illya pulling out all of Archer’s signature moves is amazing. I love the dual-wielding blades as well as the trademark archery work, which blows off part of Saber’s mask. 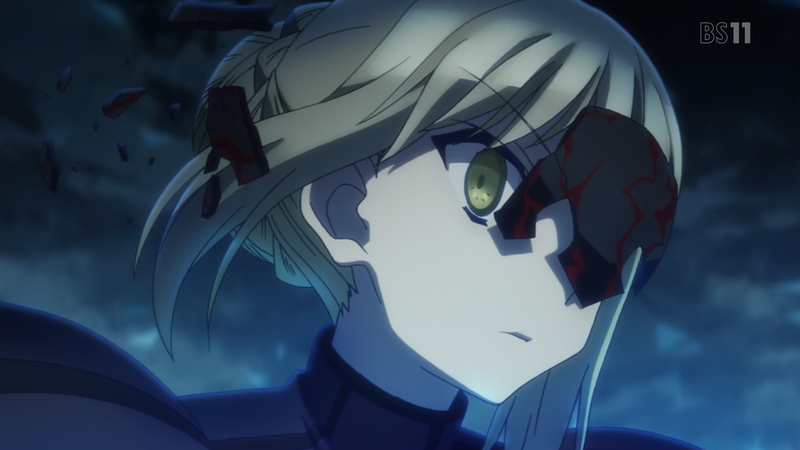 What’s even more impressive is Illya’s trace ability which allows her to copy Saber’s sword, the Excalibur. 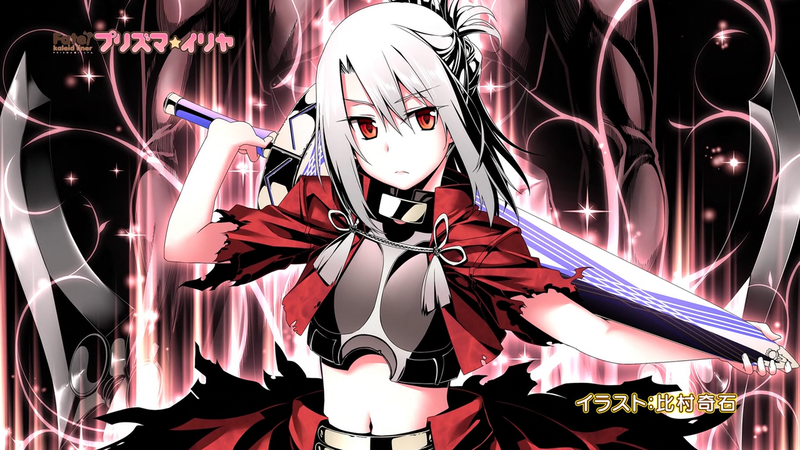 By doing so, Illya’s able to match Shadow Saber’s Noble Phantasm and even destroy her, thereby obtaining her Class Card. Oh yeah, Rin, Luvia, Ruby, and Sapphire managed to survive by burying underground. Even in the most serious and dire situations, the comedy just won’t let up in this series, and I think that’s awesome. Now what I want to know is whether Miyu or the others will also gain the ability to transform into the other Class Cards. I definitely want to see what they all would look like because that endcard art just says it all I think! Seriously Illya, way to become a complete badass.